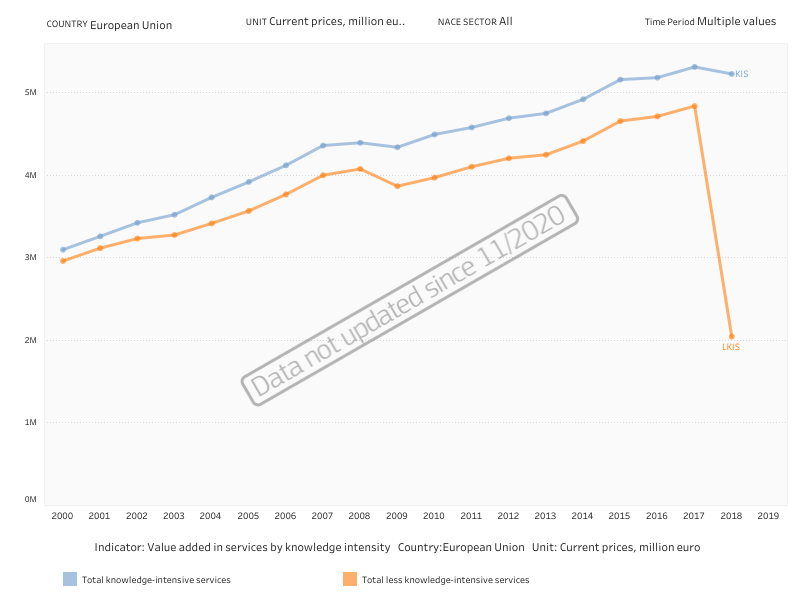 Value added at factor cost for knowledge-intensive services (KIS) and less knowledge-intensive services (LKIS) expressed as a share of the total value added and as a share of the value added from services. Created by filtering the original Eurostat dataset. Employment in Knowledge Intensive Activities (KIA) - both manufacturing and services - as a share of total employment. 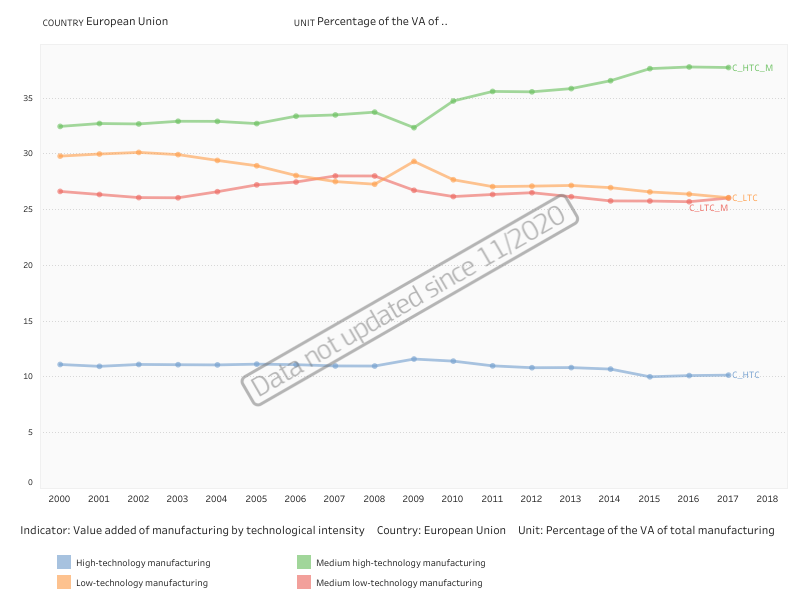 Created by filtering the original Eurostat dataset. 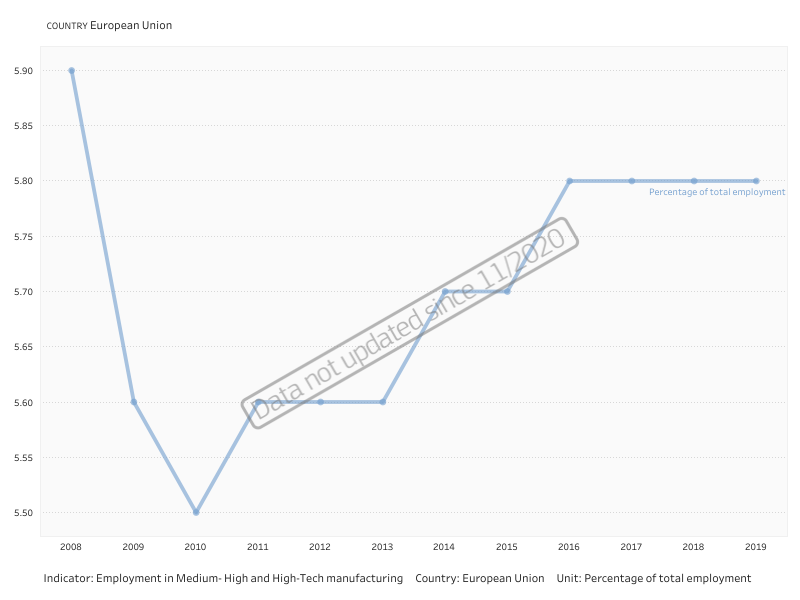 Employment in medium-high and high-tech manufacturing in thousands of employees and as share in total employment. Created by filtering the original Eurostat dataset. Data on employment in knowledge intensive business industries, expressed as thousands of employees and as a share of total employment. Gender shares are also provided. Created by filtering the original Eurostat dataset. Unemployment rates are given for men and women and for the three levels of education, i.e. Primary, Secondary and Tertiary.